There’s a new movement of Black Muslims in South Africa asserting their Africanness within the context of their religion. “I have other names but I prefer to be called by my birth name,” Nelisiwe Msomi, a health journalist and activist, tells me. We’re at her masjid in kwaThema, a township to the east of Johannesburg. “This mosque feels like home, it’s in the community which raised me and has seen me grow,” she says. In the distance a group of people, some in hijabs or abayas and some in kaftans, start making their way into the place of worship, and their garments—blowing in the early afternoon breeze—glisten like coral in flowing water. 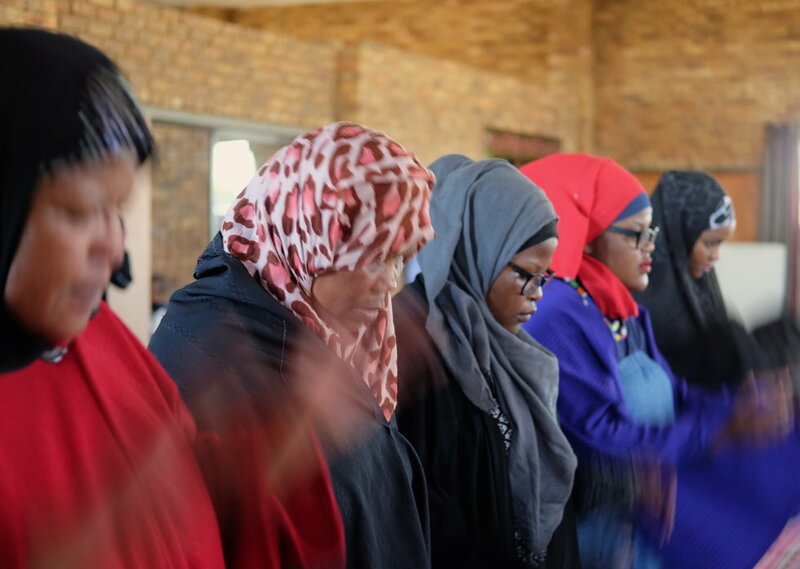 Msomi—who has and continues to be outspoken on the rights of women in her community—is part of a growing movement of young Black African Muslim women in South Africa carving a more inclusive religion that celebrates the intersection of Islam and African traditions. Instead of a religious practice in which African tradition is sidelined or shamed, which Msomi says has been the case in the local Muslim community, where the dominant culture has historically been Indian or Arab, and Malay in the southern parts of the country.